Mexican authorities say they have arrested three members of a drug gang in connection with last week’s slaying of three federal police officers in southern Guerrero state. 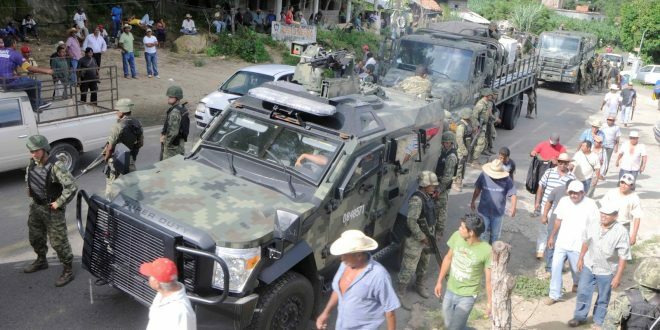 The federal police said late Sunday June 26 the suspects are linked to a gang that distributed drugs and engaged in extortion and kidnapping around Chilapa, Guerrero. The area has been disputed by two drug gangs – the “Rojos” and the “Ardillos”. Police did not say which gang the suspects belonged to. They were caught with rifles, marijuana, cocaine and heroin. The officers were eating at the market in the city of Chilapa when they were shot dead in an attack that also wounded two civilians.